Viknesh Vijayenthiran January 28, 2019 Comment Now! Their sighting follows comments made last year by Porsche CEO Oliver Blume that the green light for production had been given. 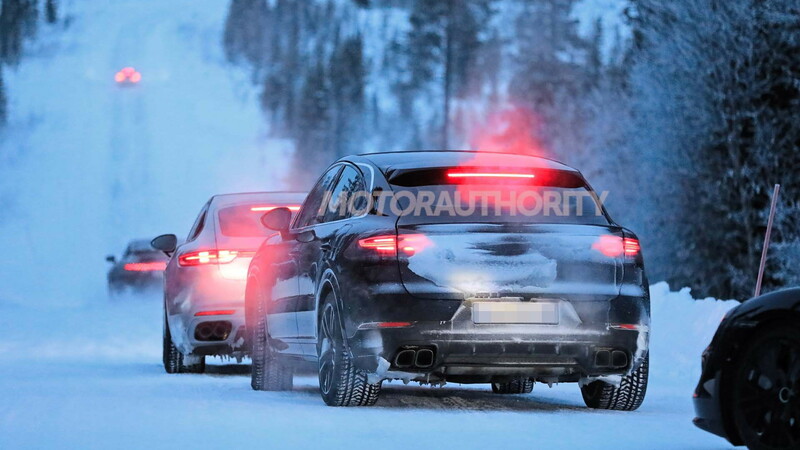 From the spy shots and video, we can see that the Cayenne coupe will feature similar styling to the latest Cayenne up front. Things are very different at the rear, however. The vehicle sports a sloping roof leading to a liftback-style rear opening instead of the Cayenne's more vertical tailgate. To hide the very sleek design, Porsche's engineers have installed a fake set of C-pillars. You can easily spot where the true window frame slips beneath the fake frame around the C-pillar area. As with other Cayennes the exhaust tips will be the definitive distinction in the powertrain. 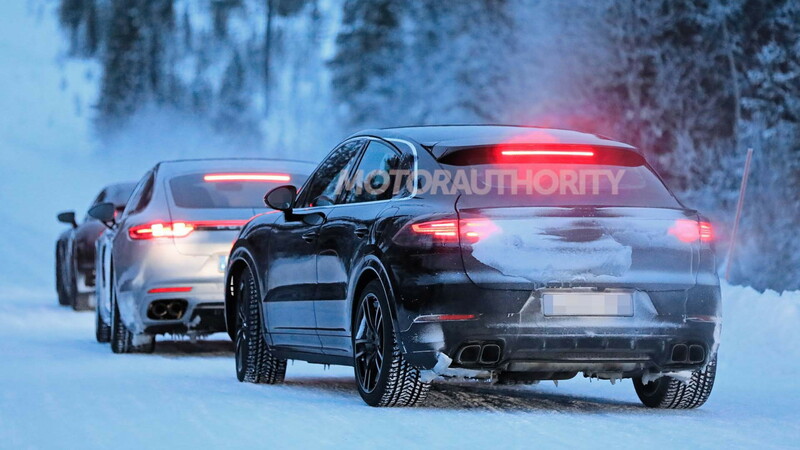 The Cayenne coupe also looks to be sporting a different treatment for its taillights compared to the Cayenne to futher differentiate it. 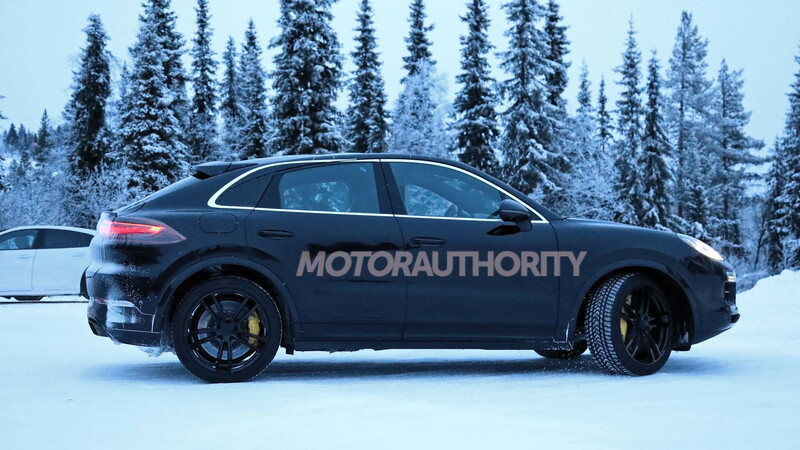 With the Cayenne coupe expected to feature pure performance-oriented positioning, don't expect the base Cayenne's 3.0-liter turbocharged V-6 to be offered. 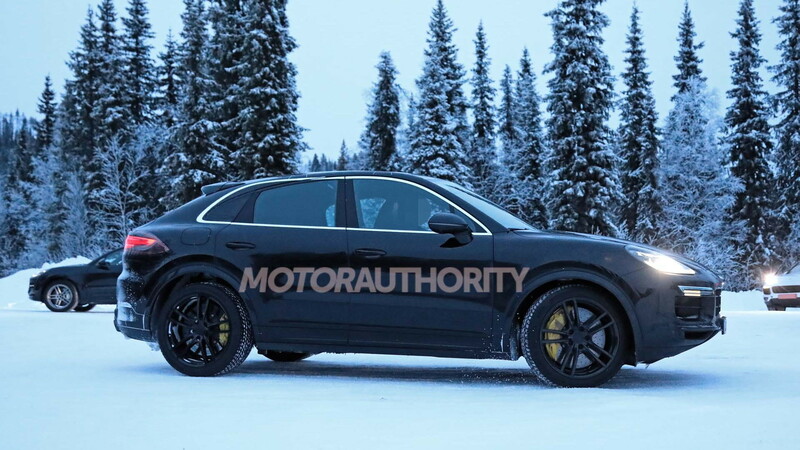 Instead, the base unit is likely to be the Cayenne S's 2.9-liter twin-turbocharged V-6 good for 440 horsepower. A Turbo model with a 4.0-liter twin-turbo V-8 under the hood should put out 541 hp and 567 lb-ft. Plug-in hybrid power should also be available. Turbo models will either come with or feature carbon ceramic brake brake rotors as an option as seen on some prototypes. 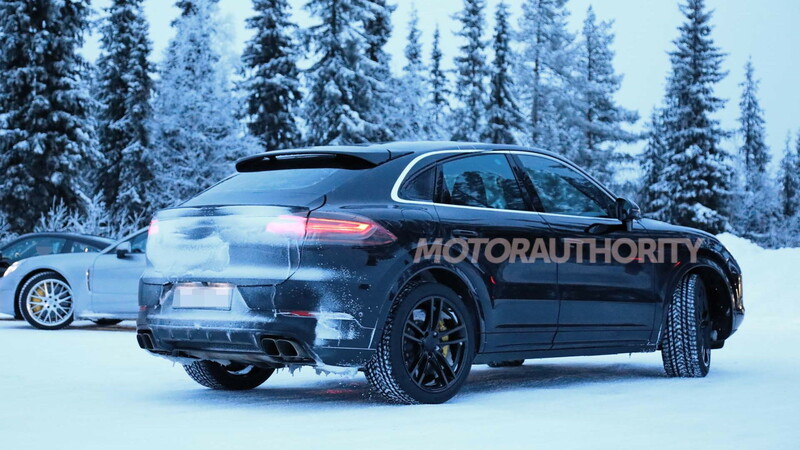 Look for the Cayenne coupe to hit showrooms in late 2019, which means we'll likely see it arrive as a 2020 model. Potential rivals include the Lamborghini Urus, upcoming Audi RS Q8, and the already established BMW X6 M, Mercedes-AMG GLE63 Coupe, and Land Rover Range Rover Sport SVR. Production will almost certainly take place at Porsche's plant in Leipzig, where the Cayenne is assembled along with the Macan and Panamera. As for pricing, expect a premium to the Cayenne which for 2019 starts at $66,750 in base trim and $83,950 in S guise.